I’m a kid of the ‘80s. 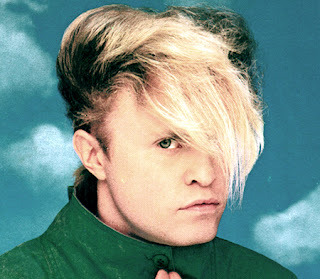 I left my Flock of Seagulls hair in 1984. I left my mullet in 1985. I then left my Bon Jovi locks behind in 1986. Don’t ask me about my Living Color shaved head/dreadlocks from 1988 to 1990. I have successfully “misplaced” the remaining pictures/evidence of that fiasco. When it comes to hair, I learned what not to do in the ‘80s. However, one thing that I still haven’t moved on from is G.I. Joe. No, I don’t have action figures throughout my office (nor at home). I still subscribe to their tagline, “Knowing is half the battle.” I am a firm believer of “I don’t know what I don’t know”, so when something comes along that causes me to shift my thinking – a paradigm shift – I am open to it. I don’t assume I know everything about even the very industry I specialize in – Managed Print Services. This open thinking has allowed us at CTX to move into areas we previously have not offered service. At first, we only serviced HP, Xerox, and Kyocera printers but over time, we created a business model that allowed us to take on virtually every make and every model of desktop laser printers. This has opened up so many doors for us. We found a way to meet a need in the market – manage any laser printer out there because our potential customers may have ANY laser printer out there. And we haven’t stopped adjusting our business model as needed. Now let me turn this back on you and your organization. How much do you know about your energy cost in kilowatt hours? Maybe you don’t know personally, but I am positive you or someone in your organization can look that up easily or call someone at PGE (or some other provider) and find out. Knowing this number gives you opportunities to make smart business decisions around that number. Can you negotiate it down with your current vendor? Are there better opportunities through other service providers to negotiate that number down? Are there new or emerging competitors that offer different services that can provide the same end result (or better)? Can you communicate the need to reduce energy consumption to your employees? If you were to create an incentive to do so, how much money could you budget to award employees while still maintaining a net reduction in expenses? Are you able to pinpoint where your energy goes? If so, can you isolate the “worst offenders” and change business practices and habits so that these offenders use less energy? Are there other assets that could replace these “energy hogs” that will create an attractive ROI? OK, maybe knowing in this case isn’t “half” the battle – it’s more like 10%. As you can see, there is more work to be done after you are in the know. I gave you an easy example. Oregon (and nearly every other state) has initiatives and incentives revolving around energy. There are rebate programs for putting your company’s personal computers on a power management program (please see me if you have any questions – we have a great solution around this). Let’s move on to one area I’m positive into which you have little visibility – printing. How much do you spend on generating a single page document? Don’t know? Well, you really should. I can say that because I have seen through my work that knowing this number has allowed companies large and small to reduce their real expenses around printing in a manner similar to reducing their expenses around energy. Maybe you think that you could do some simple math to determine your cost per print. You know that Staples charges $149.99 per toner and the manufacturer boasts an output of 6,000 pages for that toner. That seems to work out to $0.025 (rounded) per page. Now, as you walk through the office and you see a stack of papers go uncollected on the printer, you know that is approximately $1.45 (for example) wasted. Multiply that out for a year and that number grows. Are you beginning to see the direction I’m going here? This is a great place to START, but don’t stop there. How much did the printer cost? How old is it? How much……wait. I’ll save you the many more questions you should be asking. $0.025 is only the tip of the iceberg for calculating your cost per print. 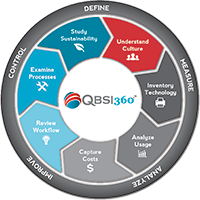 I highly encourage you to request an assessment from CTX (Oregon and SW Washington) or QBSI (Washington). We specialize in working with your administration and IT staff to determine your true cost per print. Once you know that….well, that’s half the battle. What you do with it at that point is up to you. You can continue to watch money sit wasted on the printer or you can take the next step. What is that step? Well, we can help with that too. Give us a call today. Daniel Alexander has been the Director of Managed Print Services for CTX since 2010. He has personally helped hundreds of businesses get their arms around what is known in the industry as one of the last unaudited expenses – print management. He can be reached directly at 503-968-0365.